In response to the need to improve patient care quality and the rising number of consultations by GPNs in South London, HESL looked to partner with a South London-based higher education institution to set up a top quality training course for GPNs. Among other criteria, LSBU was selected for its vast range of primary care departments and its in-depth understanding of South London communities. The School of Health and Social Care will now help deliver twenty well-trained GPNs by the end of the next academic year. 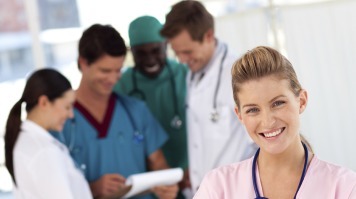 "Practice nurses have been the unsung heroes of primary care since their inception. However, opportunities to develop their academic status have been limited. This is a fantastic opportunity for current practice nurses to develop their knowledge and skills," says Dr Sally Boyle, Head of the Department of Primary and Social Care. The course will be offered to registered nurses, particularly those in secondary care, and will provide the skills and experience needed to practice as a top-class GPN. "Our new three-modular programme offers an excellent introduction to General Practice for qualified nurses. Importantly, they are introduced to a collaborative approach to nursing with a focus on Public Health issues," comments Dr Boyle. Nurses enrolled on the course will also undertake a paid part-time placement at a GP surgery in South London. In collaboration with Community Education Provider Networks for the Wandsworth and Lambeth boroughs, LSBU will provide those on the course with a link lecturer and a practice nurse mentor. "London South Bank University is renowned for offering a positive nursing student experience. We are delighted to have been successful in winning this bid," added Dr Boyle. If you have thought about training as a practice nurse and would like to apply, visit NHS Jobs. Closing date – midnight Sunday 16th November 2014. The assessment process will take place between Thursday 27th November and Wednesday 3rd December 2014.